I do not have complete and unquestioning trust in the mainstream news media as an institution or in any specific news media publication, channel, or outlet. All the major players have made high-profile mistakes that we know about. Some of these mistakes have involved the sort of unintentional errors that are easy to understand if not excuse; others have involved gross violations of the public trust (e.g., plagiarism, manufactured stories complete with fictional sources, uncritically pushing government war propaganda on the public). Regardless of whether the mistakes we have seen from various mainstream news media outlets were unintentional, it is easy to understand how their cumulative effect would erode public trust in the mainstream news media. We do not like to be lied to or misled, and we like it even less when a trusted institution does it. Maintaining a complete and unquestioning confidence in the mainstream news media to always bring us factual information is tough to justify. We have been burned too many times. But here's the thing...it is no easier to justify the complete and unquestioning belief that the entirety of the mainstream news media cannot be trusted at all, a belief that has become all too popular these days amidst the cries of "fake news." Deciding that one cannot trust anything one hears from the mainstream news media is no more rational than deciding to uncritically accept every story as true. Fortunately, we have more options than uncritical acceptance and wholesale rejection. In fact, a vast middle ground is revealed to us as soon as we recognize that things like trust and confidence are relative. I have far more trust in The New York Times, The Washington Post, or even CNN to provide accurate information than I do when it comes to Alex Jones' Infowars platform. Does this mean that I uncritically accept everything I see in the Times, the Post, or on CNN? Of course not! They have made most of the mistakes to which I referred above. As a result, my trust in them in is far from absolute. I know that they can make mistakes because they have made mistakes. Of course, I also recognize that the reason I know about these mistakes is that they were scandals and not business-as-usual. That matters a great deal. The point here is that I do have great trust in them compared to Alex Jones' organization. This does not mean that Jones and his minions never get anything right; it means that them getting something right would be much less common. From what I have observed, the most vocal critics of the mainstream news media tend to rely mostly on Brietbart, Infowars, and assorted conspiracy-minded YouTube personalities for their news. I suppose what I find most interesting about this is that many of them refer to themselves as skeptics. They are rejecting the entire mainstream news media while uncritically embracing sources that push conspiracy theories without evidence. I'm not sure what to call this, but it isn't skepticism. 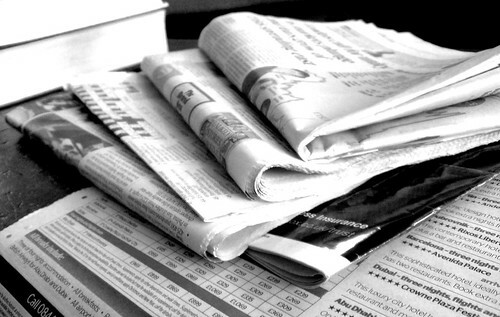 When it comes to the sources of news we utilize, a healthy skepticism is valuable. We should not uncritically believe everything we hear from the mainstream news media, and utilizing fact-checking resources can be helpful. At the same time, we would do well to remember that trust is relative in this context and that not all sources of information are equally trustworthy. Taking this too far (e.g., rejecting every report from the mainstream news media that does not conform to one's preferred ideology as "fake news") is neither skeptical nor rational, and it leaves us more susceptible to misinformation.